The Lazy Spring uses gravity and its own momentum to perform all sorts of scientific wonders. Make it walk down stairs, create mesmerising wave patterns, relieve the stress of the day with gentle play. The Lazy Spring remains true to its granddaddy, an timeless toy for all ages. 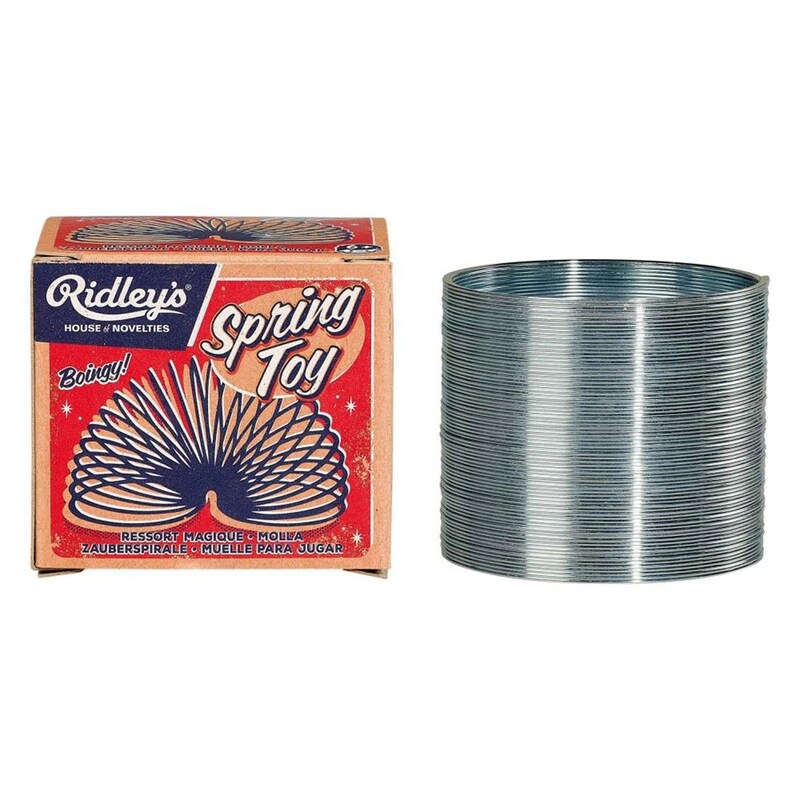 FEATURES: •	A toy that remains true to the original Slinky •	From ages 8 to 108 •	Get one for nostalgia's sake, or to educate your kids as to what a real toy is.